Article submitted by Helen Yalbir, Consecrated Woman of Regnum Christi working in DC. It was the moment we’d been waiting for all year long. CHALLENGE SUMMER CAMP!!! 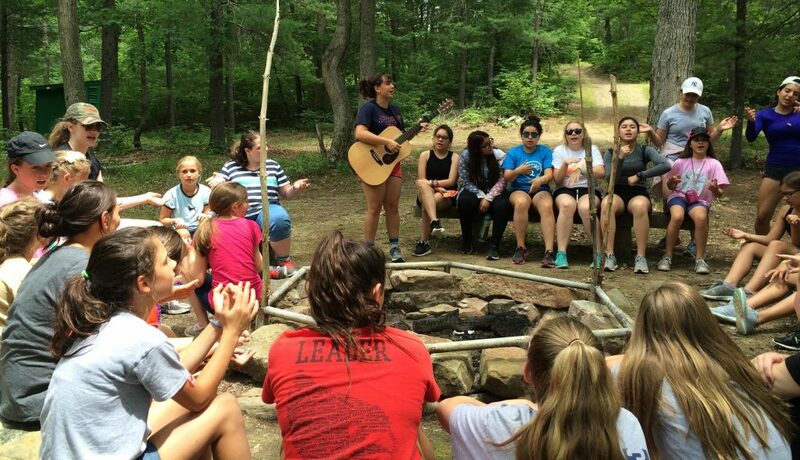 Just to hear the words “summer camp” provokes a flurry of memories and emotions. This year we added to that happy memory bank with the high impact Dr. Suess themed summer camp for middle schoolers from Maryland, Virginia, Washington, DC and North Carolina. Everyday was a new Dr. Seuss story told by “Granny Turk”, a dressed up core team member. Some of the highlights were the day we celebrated Christmas through the Grinch Who Stole Christmas day. The main lodge was decked out in tinsel, Christmas lights and wreathes. Every also loved Messy Olympics where the girls did various challenges and completed obstacles courses, by the end, they were covered in layers of whip cream, chocolate syrup, bird seed and shaving cream, just to name a few. Each day began and ended with the most important, which was Mass and prayers. As always, one of everyone’s favorite moment was the Eucharistic procession where each team got to decorate an altar specific to the theme of love, mission, identity, or gratitude. This concluded with the arrival at the final altar, where Jesus remained through the night and each team of girls took a turn accompanying Jesus. The camp concluded with its signature summer dance, which the girls had been working tirelessly to prepare. Using the popular and upbeat song, “Every Bit of Lovely” the girls joyfully performed their dance for the parents. This marked the moment everyone knew was coming, but no one wanted to happen, the final goodbye! With summer camp officially over, it became a sea of tears, hugs and girls exchanging information and promising to keep in touch. Summer camps are a high impact experience of faith, fun and friendship for all those involved. You don’t have to be in middle school to be blown away by the journey of discovering Christ through the imaginative stories of Dr. Seuss, creatively presented through the team leaders, camp director, chaplain and consecrated women. Every single person at camp always walks away cherishing the time spent together, the memories created, and the deeper friendship with Christ.